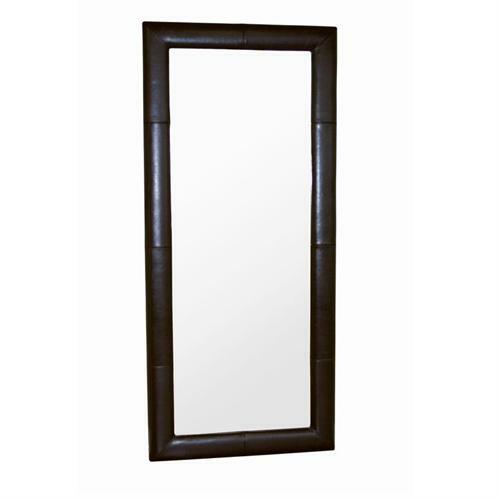 More on the Wholesale Interiors Floor Mirror with Bycast Leather Frame (Brown) A-61-1-J001-DARK BROWN below. 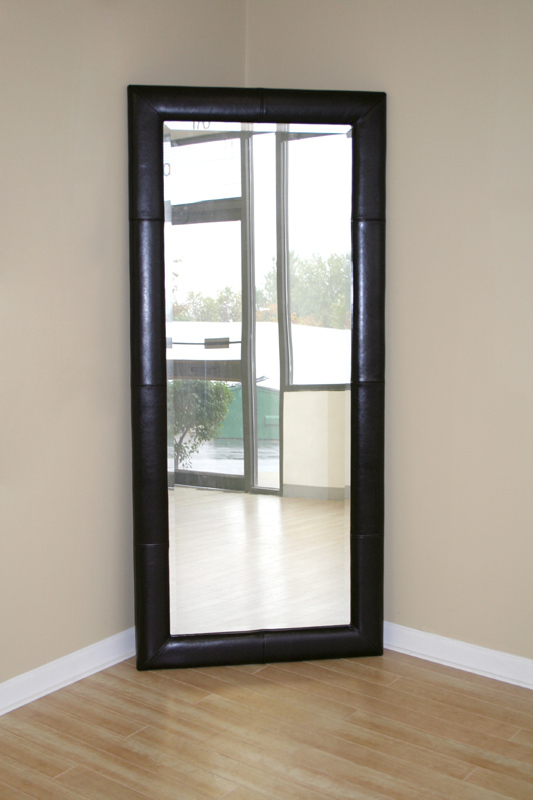 Match or complement the look of your furniture with this oversized floor mirror. The long mirror is sized to accommodate the heights of most individuals and is bordered by a stylish bycast leather frame. The back is lined with black material. Please note this is a floor mirror and does not include hardware for mounting on a wall. This item is available in dark brown, black, and cream bycast leathers. Please Note: This is a floor mirror and does not include hardware for mounting.